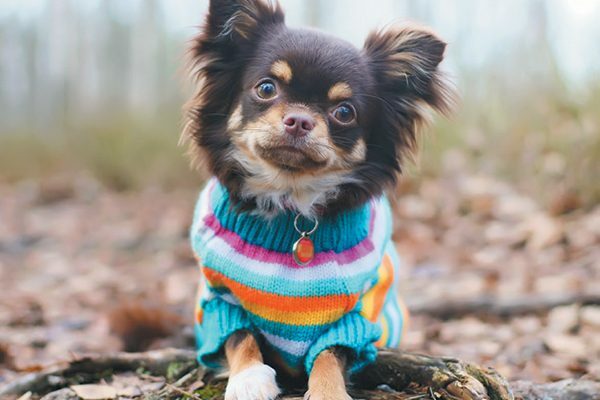 The post Get to Know the Chihuahua Dog by Lynn M. Hayner appeared first on Dogster. Copying over entire articles infringes on copyright laws. You may not be aware of it, but all of these articles were assigned, contracted and paid for, so they aren’t considered public domain. However, we appreciate that you like the article and would love it if you continued sharing just the first paragraph of an article, then linking out to the rest of the piece on Dogster.com. Vigilant, self-important and dedicated to his owner, the Chihuahua dog has been a popular companion for centuries. And because he weighs less than 6 pounds, the Chihuahua fits easily on his loved ones’ laps. But don’t expect sweetness and snuggles alone. The Aztecs adored Chihuahua dogs. Photography ©Phanuwat Yoksiri | Getty Images. While there’s no argument that the Chihuahua dog originated in early Mexico, historians debate his exact ancestry. Chihuahua origins, however, seem to link to ancient Techichi dogs. Developed mainly for companionship, the early Chihuahua also had holy purposes. For example, they were sacrificed, mummified and buried with their owners. One of their tasks was to help deceased owners on dangerous hereafter roads. Historians have found evidence that the Aztecs adored early Chihuahuas, but they also used them as a food source. The breed’s name connects him to the large Mexico state of Chihuahua, where dog fanciers discovered early Chihuahua specimens in the mid-1800s. Today the cheeky Chihuahua remains oblivious to his size, taking on the role of watchdog rather seriously. The Chihuahua’s natural suspicion of new people or animals may lead to barking. He can learn to restrain unwanted barking, but first his owners must throw out misconceptions that (because of his small stature) the breed can’t be trained. For not only can Chihuahuas be trained, they’re remarkably agile and can excel in dog sports such as agility, freestyle and rally. Many Chihuahuas bond most closely to one owner, but others relish the dynamics of the entire family. 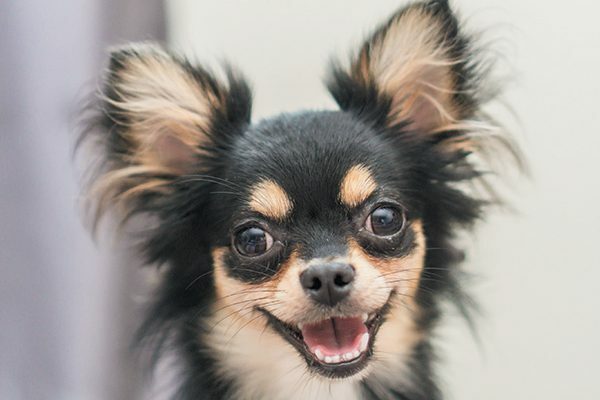 Because of their small stature and eagerness to defend themselves from rough play, Chihuahuas aren’t typically ideal with families with small children. A Chihuahua dog is a nice match for apartment dwellers because he tires out rather easily with indoor playtimes and walks. But keep in mind that just because the Chi fits in a purse doesn’t mean he belongs in one. Beverly Hills Chihuahua and Taco Bell depictions aside, the Chihuahua (albeit small!) has the same need for exercise and training as any breed. The strong-willed and spirited Chihuahua dog requires not only daily walks but extensive socialization and plenty of dog school classes. Just remember, he’ll appreciate sports, training and activities most when convinced they’re his idea! Noticing trembling or shaking in your Chihuahua dog? The Chihuahua dog is very sensitive to the cold weather. Photography ©Eudyptula | Getty Images. Sensitive to cold weather, Chihuahuas may need sweaters or coats to stay warm in winter. While Chihuahuas shiver when they’re cold, they also may tremble when feeling excited, as well as uncomfortable or fearful. Taking a young Chihuahua out and about to allow him to experience new people and places may decrease tendencies toward anxious shivering. While exceptions apply, often a well-socialized Chihuahua trembles less than one with limited socialization. Of course shaking can also indicate medical conditions such as low blood sugar. 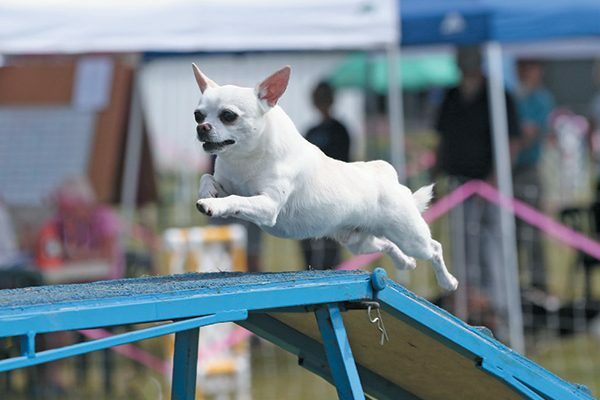 Small but mighty, the Chihuahua dog can excel in dog sports such as agility and rally. Photography Courtesy Lori Sage and Joe Camp. Sizes: A Chihuahua dog isn’t properly classified as Pocket Size, Micro, Tiny, Toy, Teacup or Miniature. Some Chihuahuas are simply smaller than others. Prospective owners shouldn’t be lured into paying more for small dogs labeled, for example, Teacup Chihuahuas. Coat: The smooth coat is soft, close and glossy; the long coat is soft, flat or slightly wavy. Color: Any color, marked, solid or splashed. Tails: Tails are carried in a sickle (open curve) or in a loop over the back. Long-coated Chihuahuas have pluming and feathering on the tail. Grooming: Smooth coats need occasional brushing. Long-haired Chihuahuas need frequent grooming to avoid mats. Teeth: Dental care is important because Chihuahuas may develop oral problems leading to tooth decay and gum disease. Tell us: Do you have a Chihuahua dog? What do you love about your Chihuahua? Originally an attorney, Lynn Hayner writes about dogs and law, in no particular order. Lynn lives in Waco, Texas, with her family, a rescued cat and her new German Shepherd Dog, Anja.